Recently, a former home health aide was sentenced to prison after stealing several hundred thousand dollars from an elderly couple on the Upper East Side. The former aide Stephany Hernandez forged checks and made large withdrawals from the elderly woman’s account. The abuse was discovered and reported by the elderly woman’s son. This high-profile case is just one visible example of a problem that goes chronically underreported in this city. Only one in 44 incidents of financial abuse of the elderly is reported in New York, according to the New York State Cost of Financial Exploitation Study. The elderly are disproportionately the target of financial abuse schemes because of their cognitive decline and relatively high net worth. If you have ridden the subway or bus lately, you’ve likely seen New York City’s efforts to end elder abuse through greater public awareness of the crime. Increasing the public’s understanding of what constitutes elder abuse — whether it is financial, physical, or emotional — is the only way that concerned family members, friends, and neighbors can protect our city’s senior citizens. Today, let’s look at the common forms of the financial side of elder abuse and how people can stop them. Forgery is generally perpetrated by family members, friends, caregivers, and aides. These people have access to the senior’s personal and financial information, and can use this information to forge checks and make large withdrawals, like in the Hernandez incident. These abusers will drain an elderly person’s bank account, leaving them vulnerable to losing both their home and ability to pay for healthcare. Some family members and caretakers will intimidate an elderly person into signing or changing documents for their own financial gain. Sometimes, an abuser may threaten to put the senior in a nursing home, abandon the senior, or hurt them if they don’t comply with request. This type of financial abuse can also involve the trusted person preying upon an elder with dementia, using their confused state to deceive them into giving an expensive “gift” or change their wills and trusts. Power of attorney, or the authority to act on behalf of another person in all legal or financial matters, can be signed over to a trusted family member or caretaker if an elderly person is no longer able to manage their own affairs. However, some unscrupulous family members may use this financial privilege to drain a senior’s bank account and seize their property. Power of attorney abuse can be devastating, as the abuser will often justify their meddling in an elder’s affairs by stating they were trusted enough to be given power of attorney in the first place. Scams by strangers often take advantage of an elderly person’s unfamiliarity with the internet. These most often include phishing emails from fake banking or investment institutions, ransomware, and pop-ups that trick a senior into downloading viruses. Other scammers take advantage of a senior’s manners in order to create a trusting relationship that leads to fraud. People who grew up in the 1930s, 1940s, and 1950s were raised to be polite and trusting, according to the Federal Bureau of Investigation. Therefore, they’re less likely to hang up the phone or question a potential con artist’s credibility. Some scams by strangers falsely solicit the elder into giving money for a good cause, like a charity or fundraiser. Others trick the elder into believing they have won a sweepstakes and ask the elder for a nominal amount of cash to cover the “tax.” Some “grandparent scams” even create the pretense that the elder’s grandchild is in jail and needs money to return home safely. In the case of scams by professionals, perpetrators may take advantage of an elderly person’s dementia or confusion to make a big “sale” or commission. This often takes the form of predatory lending, annuity sales, and pyramid schemes, according to the National Adult Protective Services Association. While not always illegal, these actions are inappropriate and prey upon an elderly person’s nest egg and put them at risk in the future. Family members who are concerned about financial elder abuse need to be on the lookout for certain warning signs. The top signs are unpaid bills, excessive gifts, unexplained withdrawals, unfamiliar signatures, and unexpected changes in beneficiaries, according to Consumer Reports. As seniors often will not or cannot report instances of abuse against them, they rely on caring advocates to be their voice. 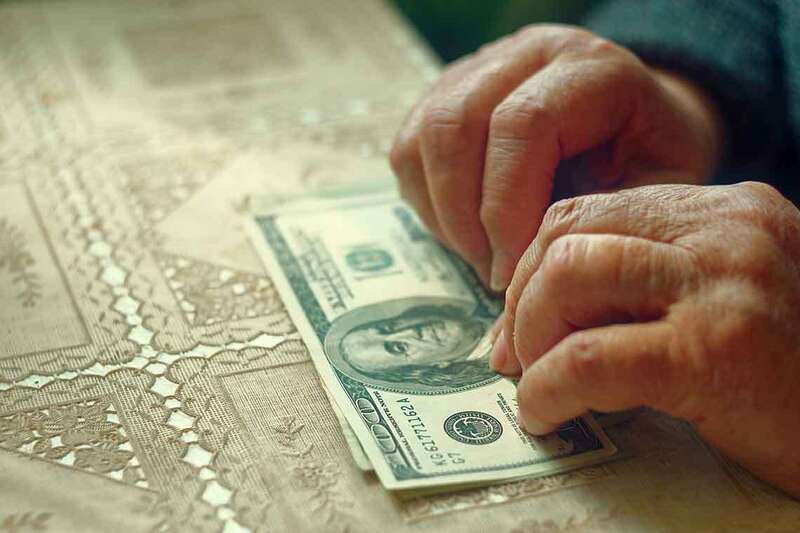 Concerned caretakers should have a conversation with their elderly loved one’s financial advisor to ensure measures are being taken to monitor for unusual, large withdrawals and suspicious investment style changes, according to the New York State Department of Financial Services. Furthermore, accompany your elderly family member to their meetings with financial advisors to ensure the advisor does not recommend inappropriate financial products. Lastly, it’s important to check up on your elderly loved one regularly. Abusers rely on an elderly person’s isolation to perpetrate their crimes, so checking up on a senior is often the best way to protect them and show that you care. Have you or someone you love been harmed or exploited as a result of elder abuse? We can help. Read more to learn how our elder abuse attorneys can help recover compensation for elders who have been abused by a nursing home, caregiver, or family member. If you are ready to pursue a claim, fill out our free, no-risk case evaluation form today.